LifeLock became famous several years ago on a radio advertisement with Todd Davis, the company's CEO giving out his social security number, the most confidential number any consumer could have. Davis claimed he had no fears giving out such sensitive number because he trusted LifeLock to protect him from identity theft. LifeLock identity theft prevention services have grown over the years. The company started with just a one-size-fits-all plan but has expanded that single plan into three: Standard, Advantage, and Ultimate Plus. Another major change with the plan expansion: no more free annual credit reports with the Standard plan. 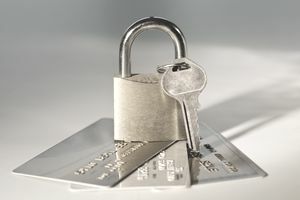 Lifelock now only offers one credit report with its Advantage plan and three credit reports with the Ultimate Plus plan. All plans include an opt-out from pre-approved credit card offers which prevents mail thieves and dumpster divers from getting credit cards in your name. It also reduces the amount of junk mail that you have to deal with. Help to retrieve the contents of a lost or stolen wallet. Change of address alerts to prevent mail identity theft. Online patrolling to catch the sale of your personal information. $1 million to offset the cost of identity theft if you become a victim while you’re enrolled in Lifelock and the theft is due to a defect or failure in their service. The Advantage and Ultimate Plus plans now include data breach notifications and credit card, checking and savings account monitoring. Lifelock can alert you to signs of identity theft, but they can't you have to actually take action on this information to clear up the theft or stop future attacks. Fraud alerts complicate the credit approval process. Banks must go through an additional verification process to make sure you’re the one applying for credit, so instant approval becomes difficult. Using your cell phone number as the contact number will allow you to be contacted quicker. You can’t monitor your credit throughout the year. LifeLock orders all three credit reports at once and you must go the remaining 11 months clueless about the state of your credit - or pay for a credit report. Certain types of identity theft go undetected because it's not included on your credit report. This includes new cell phones, utilities established in your name, tax fraud, or someone getting a driver's license or passport with your name. LifeLock scandal? In 2007, The Phoenix New Times published a story about the origins of Lifelock and its founder’s (Robert Maynard, Jr.) shady past. Maynard allegedly uses a bogus identity theft story to promote LifeLock, but is suspected to have committed identity theft himself and to have used his credit repair company (which has been forced closed by the Feds) to take unauthorized debits from customers' accounts. The Standard plan is $9.99 per month, Advantage is $19.99 per month, and the Ultimate Plus plan is $29.99 per month. Enrolling in LifeLock is fairly simple. You can enroll online by submitting your personal information (name, address, social security number, etc.) and payment information. You also have the option of enrolling over the phone by calling 1-800-LIFELOCK (1-800-543-3562). When compared to credit monitoring services, LifeLock is a better deal offering prevention services rather than simply post-identity theft alerts. For some people, paying $10 a month is a waste, but for people who won't remember to update fraud alerts or order their annual credit reports, $10 is just an ounce of prevention. Paying for Lifelock may not be worth it, especially if you've been offered free credit monitoring through another service. For example, from a company who's suffered a data breach. You can also get free credit monitoring for your TransUnion credit report through CreditKarma.com and your Experian credit report through CreditSesame.com. Twice a year, you can get a free Equifax credit report through Quizzle.com.